Every First-time Property Buyer will go through the phase of being skeptical or delay decision due to lack of information. While trying to take the best decision for the life’s biggest Investment, extra time spent and better advice from Family and Friends always helps you. We built this Property Directory keeping in mind your needs and aspirations. We follow the market every day and collect every piece of information that helps in making your decision smarter and smarter. In this world,knowledge is wealth and we are just doing the same to make our customers' first ever buying decision brightest ever. Go ahead and search for ready to move in or upcoming projects. Any property, be it gated, semi gated, or independent house, will be listed with us.The potentially interested buyers can now log in and can search for their dream home through their selective areas. Also upon login, they will get notifications vis-à-vis ‘properties for sale’. 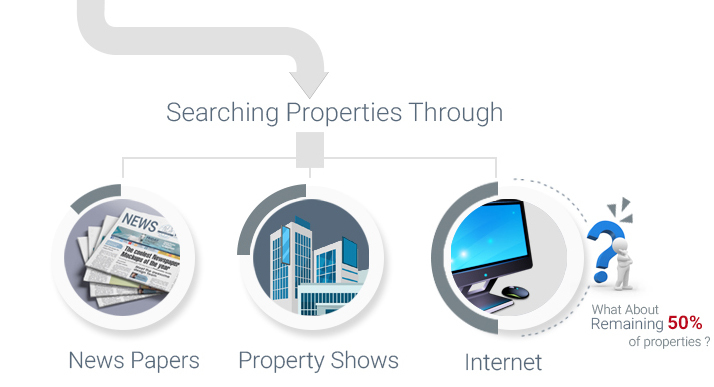 Are you confused with duplication and multiple listings of same property? We bring you a portal which will give all information at the click of a mouse right down to the smallest detail. If you already own a property and are now ready for the next Property Investment decision, you might be looking at different types of properties from Residential to Commercial. We follow the market every day and collect every piece of information that helps in making your decision smarter. Whether you want to invest for monthly returns in the form of rentals or for your dream home, we have a property for you. The properties which are unnoticed, not considered, not taken into picture those skipped properties where we can find..? May be one of them is the best match for you. That missing property is the fits your Budget. Any solution for this issue??? Here We Go....! 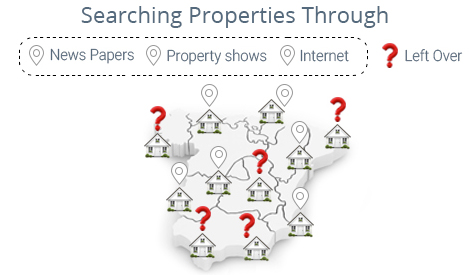 Searching through Property Adviser you can get 100% of properties information. Our Expert team physically surveys and verify Every Area, Every Street, Every Property, Every Unit and Every Detailed Information and brings it to you at finger tips. Zone 1 consists of 15 Areas west side of Hyderabad where we completed 100% of Property Collection done. Buyers want to know all projects available in the Marketplace. They keep visiting the website to get more information on projects and monthly updates, which they can't find on the market until they visit the project and meet the builder. www.propertyadviser.in is easy to access web space for Buyers as it holds all projects at your fingertips. We bring all Real Estate Projects Information under one roof so that it will be easy for buyers and sellers to take a right decision. Our website has all the required details for the Buyers so that they can cross verify and make their mind easily. That means Buyers can receive all the particulars of the projects of their choice. They also get monthly updates on the progress of the project. Now listing of the Projects on www.propertyadviser.in is just a call away. Yes, we will instantly communicate through E-mail and SMS upon buyer’s request. You can browse the website on multiple devices such as Desktop, laptop, palmtop, and Smartphones. Do you want visibility for medium or small scale builders? No worries....!! Here we go. We provide visibility for every project on the market from big, huge, and humongous to tiny little.